Arriving at the beach is a wonderful feeling. It’s my favorite time of year without question. This year offered something unique. Just as I was about to go to bed, I realized that there was a distant storm over the ocean. I ran to get my cameras out of the car and on a humid evening, I wasn’t sure if my air conditioned lenses could take the humidity without condensation. 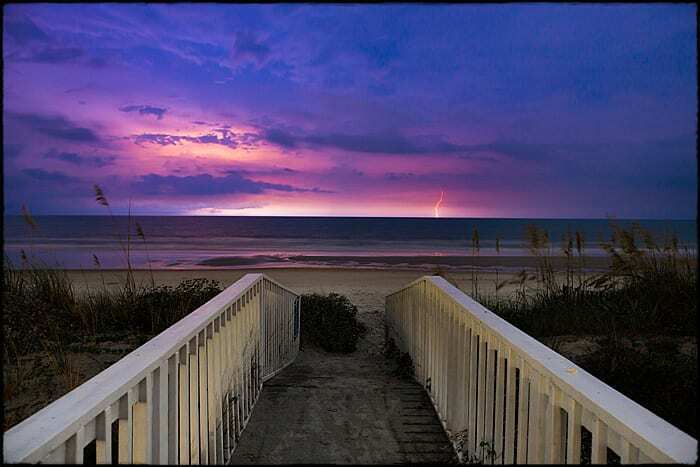 I was in luck and was able to get this shot of distant lightning at Litchfield Beach near highway 17 in South Carolina.